The Mile High City is developing a first rate light system. The small starter system opened in 1996. The Southwest extension opened in 2000. The Valley line which will connect many of the Denver activity and cultural centers to the system opened in 2002. The new SE line, part of the T-Rex project, opened in 2007. The next big construction project is Fastracks. This involved adding more light rail and introducing commuter Rail. 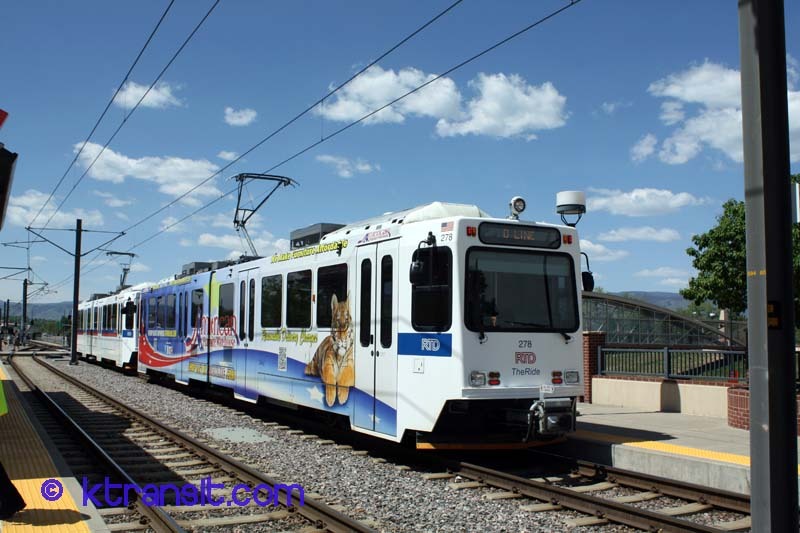 The first Fastrack line, a light rail line to Golden, dubbed the W-Line, opened in 2013. Commuter rail to the airport and to the north is scheduled to open in 2016. The city also has a unique circulator bus system on 16th street linking the two bus stations the downtown light rail line and Unions Station and its Light rail and future commuter rail system. Denver also has the huge Denver International Airport. The 3 concourses are linked to the main terminal via an underground people mover system.